STOPPING by Mood Food, the happily 24-hour Caltex truck stop and roadhouse on the Midland Hwy at Kempton the other day, we were fortunate to catch up with Nathan Griggs from Huonville. 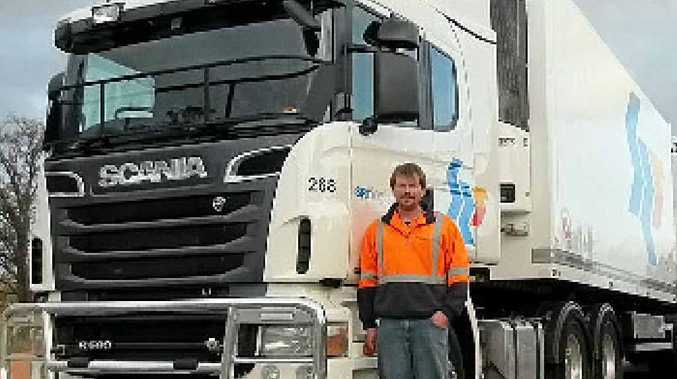 He had rolled in for a quick cuppa and a bite to eat, driving an SRT Logistics two-month-old Scania R560, and was towing a refrigerated B-double on his way from Hobart to Breadalbane. Nathan tells us he has been with SRT for a good 15 months now, and finds them a top outfit to work for and that he enjoys the job, especially in these somewhat uncertain times. He is also pretty rapt in the Scania, its comfort and performance.